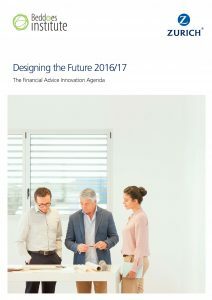 Designing the Future 2016/17 is a collaboration between practices engaged in the day-to-day provision of financial advice to Australians and the licensees, life companies and professional associations that support them. While each licensee has visibility across the initiatives they provide their practices, this survey tracks business improvement activities that are planned for, or in progress, by a wide group of practices. By taking into consideration what tools most practices need for their businesses when designing a ‘business tookit’, licensees may not only assist more practices in achieving individual business success but also accelerate the growth of their practices’ vitality and well-being in 2016-2017. This report also measures macro trends in both the strengthening, and the weakening, of financial advice practices over time. The changes in the number of practices rated ‘Passive’ or ‘Vulnerable’ compared with those rated as ‘Active’, ‘Developing’ or ‘Strong’ is a lead indicator of the strengthening or weakening of practices and the sector overall. An increase in the number of practices becoming passive and a fall in the those rated ‘Active’ can be taken as an early warning signal that more investment and support of advice practices is required. In contrast, an increase in ‘Active’ practices who are investing in new business improvement initiatives is an indication of the improved health and vitality of the advice sector. By using this report, licensees are able to perform a ‘gap analysis’ by comparing the needs of advice practices (as outlined in the Innovation Agenda Priority Matrix) with their actual offerings to practices, and monitor the health and well-being of the sector overall. Finally, with this report individual practices can compare their own performance with that of other practices. By reviewing their own systems, processes and programs and comparing these with the results of the overall sector, individual practices can assess their relative performance and create new benchmarks, as well as identify key business gaps and the appropriate tools to close them.